Influence is the first strategy based Android game by Teremok Games. The game is simple to learn, but the actual strategy take a bit of effort to master. You start with a single cell and you spread your Influence. The more cells you control at the end of your turn, the more units you are allowed to distribute to your existing cells. And the game is as simple as that. Think of a much simpler version of the board game Risk. The graphics to this game are simple. Nothing more than hexagons of various sizes connected by a short line. The larger the hexagon, the more units the cell can hold. The line indicates which cell you are allowed to attack next. There can be up to 4 different players (computer or human). Turn on Darkness (Fog of War) to limit your view of the entire map. Turn on Online Rating to get rated for each of your games online. As of now, I don't understand the purpose of Online rating, as it's nothing more than a number. Turn on Symmetry to make the cell layout on the map symmetrical. You can play against difficulty levels computers AIs or play against another person on the same device. There isn't an online multiplayer mode to challenge other users online, which is a shame because it's a very well made and thought out game. It's much simpler than the Risk because you can't choose how many units to attack, but it turns out that also changes the strategy. My preferred strategy is to expand fast and control as many cells as possible. Avoid encounters when possible, especially in the beginning. When you have a spot of land enclosed, being taking out the enemy. The goal is to let the computer AI battle it out as much as possible before you begin to engage. The team with the most number of units when the battle begins has the highest chance of winning. What I dislike about Influence is that the map and starting cell for each team can be wildly different. This leads to very unfair starting conditions that makes it literally impossible to win. There have been games where I was pegged between two other computer AIs. Other than that, I've spent many fun hours playing Influence. 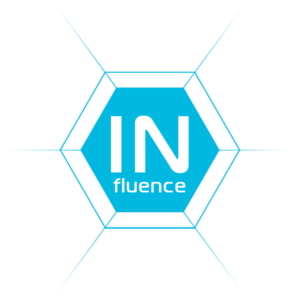 Influence can be downloaded from the Android Play Store. The game is completely free and has no advertisements.